Corsica is like a giant censer: with no fewer than 3,000 known plant species, it offers an incredible richness and diversity, and some of its species are considered endemic. The importance of formulating products from a preserved environment – which often offers very special characteristics – has already been proven. The quality of our raw materials is the very essence of our creations: immortelle essential oil, virgin hazelnut oil and AOC olive oil. 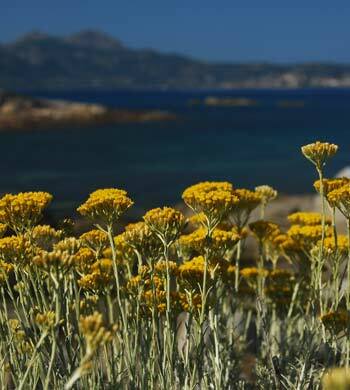 Helichrysum comes from the Greek «Helios» meaning sun, and «Chrysos», gold. The plant’s flowers look like small golden suns that never wilt. The high neryl acetate content, specific to the Corsican variety confers it a quality that is unsurpassed. It is used in cosmetology for its anti-wrinkle properties. As for the fragrance, it is the Everlasting flower which confers the Corsican maqui its predominant olfactory and characteristic note, which led Napoléon to declare that he could recognise his island with his eyes closed. method, the naturally high vitamin E content in particular.Our fruit is grown and selected in orchards on the East Corsican coast. 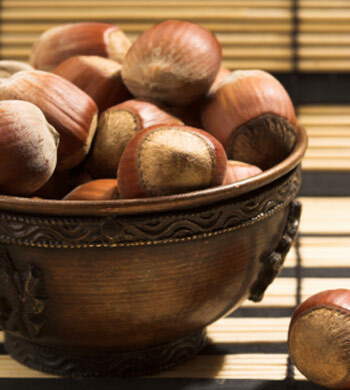 Hazelnut oil has nourishing and regenerating properties for damaged skin and naturally contributes to maintaining the skin’s elasticity. It contains vitamin E, which confers it its anti-ageing properties. It is appreciated for its high level of penetration in the superficial layers of the epidermis where it is absorbed evenly. This is one of the best olive oils in the Mediterranean. Certain regions are more favorable for its growth and Balagne is the most well-known. The Sabina variety is grown there and is harvested from March to June. The olives are harvested when ripe (black) directly from the tree. 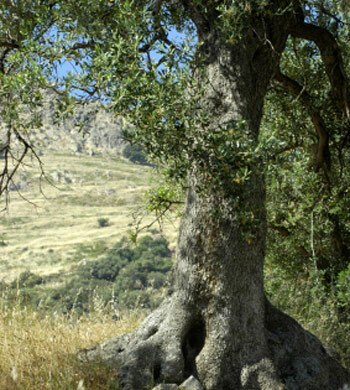 Corsican olive trees are generally very old, and some have been found to be over several hundred or even thousand years old. Corsican olive oil has a beautiful golden colour, a fruity taste and is very light. It contains no colorants or preservatives and is a 100% natural product. The AOC label reveals a thick and smooth oil with its honey and nut flavours conferred by the natural conditions and the island climate. The intense moisturizing* power of olive oil has been recognized since antiquity.